At The Pizza Press, our mission has always been to deliver the most newsworthy pizza on the planet. One of the most important things we had to do in order to make sure that all of our pizzas were several steps up from everyone else’s was to step back and look at what makes a great and why some pizzas end up as uninspiring messes. 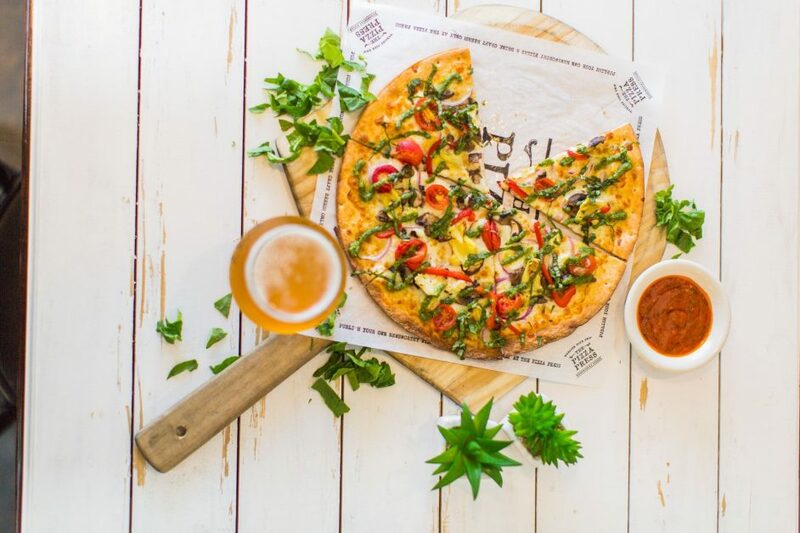 In this blog, we’ll break down exactly what it took for us to come up with our tastebud-pleasing recipes and why you won’t want to eat any other pizzas once you’ve tried our delicious pies. Come by today and publish your own pizza or let one of our skilled pizza editors build you one of our signature pizzas! We have locations all over California, with more being added all the time! Not only is the crust the literal foundation of your pizza, it also serves as a perfect metaphor: without a great crust, the entire pie falls apart due to a boring flavor or because it is too mushy, brittle, or tough. We realized that in order for a pizza to be worth writing about, it had to have a crust that was substantial without being overwhelming and crisp without breaking or shattering. It was a difficult task but after many, many hours in the kitchen, we think we’ve nailed it. We also have a tasty gluten-free crust! Much like the crust, a sauce can make or break the story of a pizza. While so many other pizza places seem happy to just slop on whatever sauce they can get from a supplier, we knew that a complete retelling of the pizza story required an in-depth investigation into what makes a pizza sauce work or fail. Right away, we realized that fresh was always better. Not only does fresh sauce taste more like real, vine-ripened tomatoes, it also smells and looks better! Fresh sauce tends to need less seasoning because it already tastes good, and that prevented us from having to use too much sugar or spices to try to coax flavor from the tomatoes. We also spent a lot of time making sure that our sauces didn’t clash too much with any of our toppings. We think that we’ve found a spectacular balance that works well with sweet and savory toppings alike! If you have something more specific in mind, we have more than just the traditional red pizza sauce! Our other sauces include a spicy red sauce, a white sauce, extra virgin olive oil, and our special pink sauce! Cheese is usually one of the headline-grabbers when it comes to pizza and for good reason: everyone loves the delicious flavor of stretchy mozzarella! But sometimes mozzarella just isn’t enough to take a pizza to the next level. Here at The Pizza Press we have a selection of ten cheeses to accent or contrast with the other toppings on your pie! Choose from two different kinds of mozzarella, gouda, aged sharp cheddar, feta, ricotta, or vegan cheese! While cheese pizza is always a great choice, toppings are what sets a great pizza apart from boring pies. 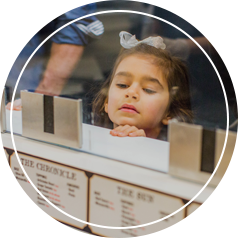 At The Pizza Press, you can publish your own pizza with any combination of our fresh and scrumptious toppings or try one our perfectly balanced signature pizzas for tried and true flavors that are sure to become your new favorites! With everything from savory meats to the most delicious vegetables available, you’ll find a combination that fits your tastes! 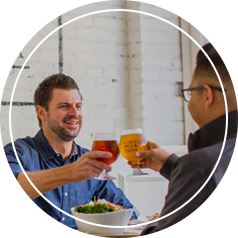 Come by any of our pizza restaurants for a one-of-a-kind experience! 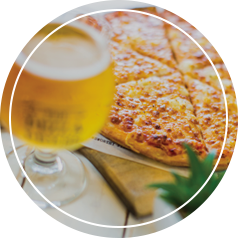 We bring you some of the most delectable pizzas on the planet with some of the region’s most delicious craft beers. If you want to open a pizzeria franchise, The Pizza Press is an exciting new taste that everyone loves!